There’s no argument that today’s youth are our future. But how do we ensure Oregon youth are headed down the right path – a path that leads to healthy living, success and advancement? PHHS Professor and Extension 4-H Youth Development Specialist Mary Arnold is working to find those answers. With more than 20 years of experience in youth development and developmental psychology, she has been tasked with reinventing the wheel when it comes to youth investment – turning from intervention to prevention. And she’s doing so through a newly appointed position by Oregon Gov. Kitzhaber, serving as a member of the Oregon Youth Development Council. The council was established in 2012 by House Bill 4165 to assist the Oregon Education Investment Board in overseeing a unified system that provides services to school-aged youth through age 20 with the goal of improving academic and social outcomes for young people. 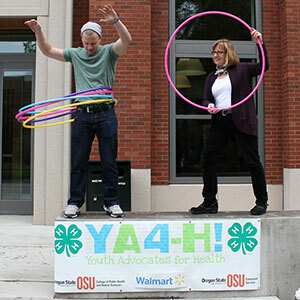 PHHS Professor and Extension 4-H Youth Development Specialist Mary Arnold has been appointed by Gov. Kitzhaber to serve as a member of the Oregon Youth Development Council. The council is creating proposals for a new funding model to invest in youth. Mary’s role is to help the council understand research and effective models for youth development, evaluation of state data and key indicators to move toward that will ultimately inform policy. 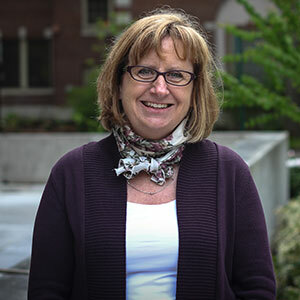 It’s a direct outgrowth of her work within the College of Public Health and Human Sciences’ PHHS Extension and Public Health Practice. “My work focuses on the idea of identity development, about sparks and finding that passion a young person has and putting it in the correct context in terms of youth development programs and relationships with others, and then taking that spark and helping a child get on what we call a thriving trajectory,” she says. It’s an idea, Mary says, that’s assisted in her personal success. 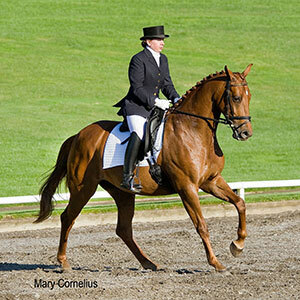 Mary not only continues to ride and compete her horses in advance dressage competitions, but she also uses past experiences to encourage positive youth trajectories in her role as a 4-H youth development specialist. “That was my experience, and I know that it put me on a trajectory toward education and health from having that grounded spark, so that’s something I really believe in and hope to extend to Oregon’s youth,” she says. Mary says informing public health policy will prevent problems with youth before they arise. What she’s found in her research is that youth see health as a major factor in all problems they would like to see solved in their communities. Mary Arnold and an Undergraduate Research Awards Program (URAP) student promote Youth Advocates for Health (YA 4-H!) programs. With Oregon’s 40-40-20 goal in mind (by 2025, 40 percent of adults will have earned a bachelor’s degree or higher, 40 percent of adults will have earned an associate’s degree or post-secondary credential and 20 percent of all adult Oregonians will have earned a high school diploma, modified high school diploma or the equivalent of a high-school diploma), planning began immediately. Although much work still needs to be done, ideas to put a prevention plan in place include developing applications that community-based organizations can use to apply for grants to fund programs encouraging positive youth development.